Tumblr and WordPress are a most popular blogging platform, It is a new power for the internet marketing, which boost your search engine rankings, You will get Contextual backlink, Huge Traffic, Fast Search Engine Index. Google always values links from trusted sources and high authority websites like WordPress and most interesting part is that Google Loves those links. So why spending a huge amount on costly PBNs simply place links on these high metric WordPress Blogs and beat your competition. We will deliver our best to our clients which will always meet their expectations. We will give great satisfaction to our clients in terms of the work which we delivered to them and it will be worth each and every penny they are spending with us. Well specifically, you will be able to grab yourself a bunch of permanent links that will be placed on high quality Wordpress Blogs along with completely unique content that is relevant to your niche. Your links will also be on the homepage for a while helping you to gain maximum exposure. ALL BACKLINKS ARE FROM High-Quality Wordpress Blog with high Domain Authority and Page Authority. 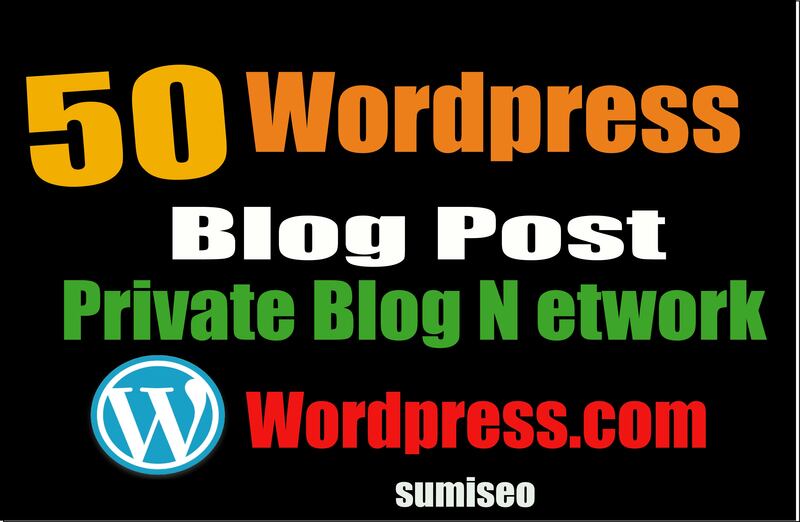 Permanent 50 PBN BLOG POST (WordPress) for excellent website and YouTube seo is ranked 5 out of 5. Based on 32 user reviews.